Corporate Group Events - S.E.C.R.E.T. Feeling a bit less productive or lacking teamwork around the office? Sounds like it’s time to plan a team-bonding outing. Problem-solving activities as a team are a great way to facilitate friendships, reduce employee stress, and give employees a chance to get to know one another outside of the office. 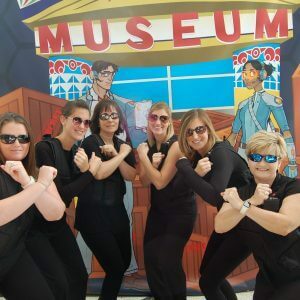 Enjoy exclusive, after-hours access at the Museum and kick back with your friends and office team members, grab a beer to escape and become the next James Bond at the Children’s Museum…without the kids! 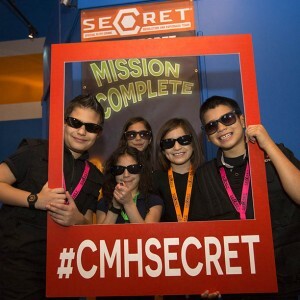 Your mission is to defeat the bad guys and stop them from causing chaos within the Museum’s exhibits! Booking a corporate group event at the Children’s Museum is Easy! Ready to book your corporate event or special group visit? Contact Alex Vasquez at 713-535-7204 to start planning your next special event! For Birthdays (grown-ups and children), please contact our Birthday Party Coordinator at 713-535-7212.